– Talk Story party night at Surfer the Bar on Wednesday 30th too. 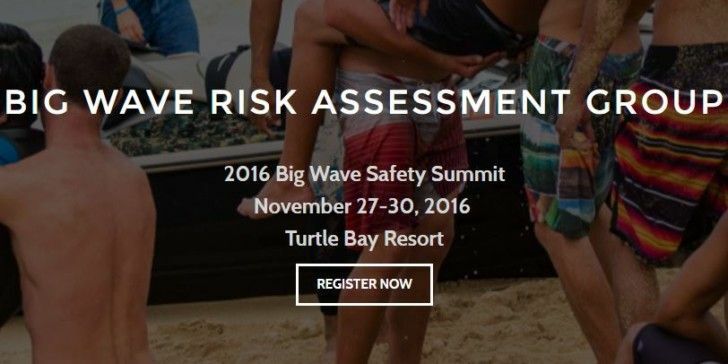 The Big Wave Risk Assessment Group exists to educate and train surfers in ocean risk management, safety protocols, equipment, technology and skills training to maximize their own safe practices and to elevate the safety of those with whom they share their surf lineup. Our educational program is open to participants ranging from competent recreational riders through to professional big wave riders, meeting them at their respective level, in their natural environment. It is also our mission to share our progress and key learnings with members of the surf industry to continue to advance awareness, best practices, and technological advancement.